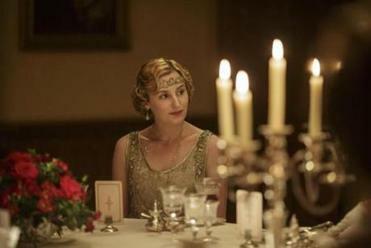 After the first season of “Downton Abbey,” which wraps up its hugely successful six-season run on Sunday, critics and fans alike found plenty to lampoon. The legal redundancies of Mr. and Mrs. Bates, Mr. Barrow’s Snidely Whiplash Smoking, Cora’s British-ish accent, Carson’s Death Stare With Eyebrows — they’ve all become punch lines the more we’ve encountered them. 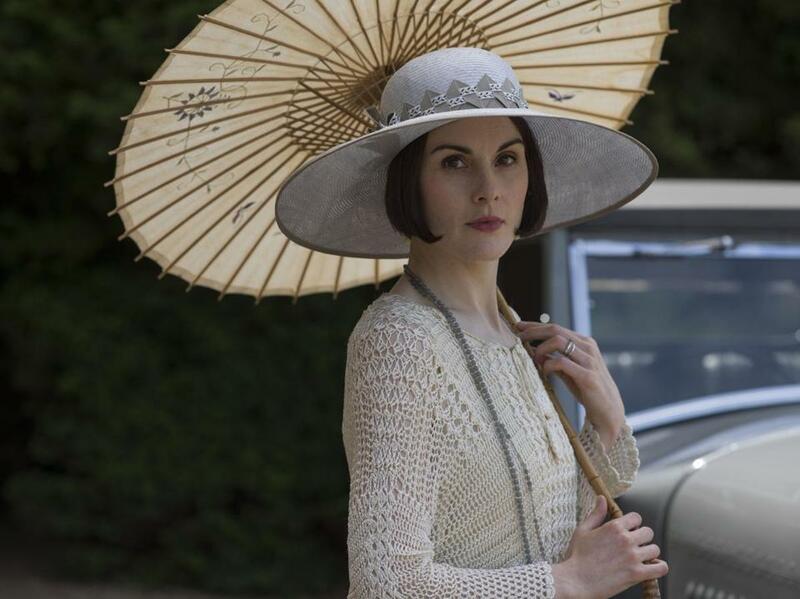 But in this house, we never, ever throw shade on Lady Mary, she of the snowy skin, the caustic tongue, the ever-rolling eyes, and the most spectacularly dramatic hats. When it comes to Lady Mary, the stoic and scandalous heroine played by Michelle Dockery, “Downton Abbey” has never fully lost its grip. While so much else in this PBS portrait of aristocrats and servants in the early 20th century has become soft-soapy, Mary has remained brittle, entitled, and a bully. That’s what has made her into one of TV’s most singular heroines, and one of the best things to come out of “Downton Abbey.” She refuses to be sweet, and she chooses not to feel meaningless without a man, even though she’s the romantic lead in a British period drama. While there are flawed men all over today’s TV drama-scape, there are far fewer complicated women like Mary — women who are not villains, but who are made of cold steel. Series creator Julian Fellowes has modeled her after heroines in classic literature; they’re more interesting than likable, akin to some of Edith Wharton’s cornered women. Like Wharton, Fellowes’s strong suit is revealing the difficulties of women mired in economic and moral impossibilities. He shows us why Mary is so callous, to let us find compassion and respect for her through understanding. Right from the start of the series, he lets us know that Mary is being forced into marrying a cousin in order to keep Downton in the immediate family. Her first sexual adventure — with a Turkish diplomat — gets punctuated by his death in her bed and an ensuing cloud of shame. “The world is changing,” Mary says to her mother after the affair. “Not that much, and not fast enough for you” is her mother’s response. Mary is pent-up emotionally, having learned to keep her open mind mostly to herself. A fond farewell to Violet’s zingers, Lord Grantham’s best friend(s), and people dressing other people. As British entails fade, sexual mores evolve, and strict class distinctions break down, there will be fewer excuses for Mary’s bad attitude. But in the meantime, we can see that she is a progressive woman trapped in an oppressive moment in history. That progressive streak is her great redeeming quality, for those of us who root for Mary despite her temperament. Her leanings have led her to stand against the tide rather than suppress her needs and, like Henry James’s wretched Madame Merle in “Portrait of a Lady,” who had to disclaim her daughter, become an empty shell. Mary decided to get birth control and sleep with Lord Gillingham to test their relationship, and she insisted he fire the valet who raped her lady’s maid. She fully accepted her late sister Sybil’s husband, Tom Branson, and his Catholicism and socialist politics, and she supported her cousin Rose’s decision to marry a Jew. And perhaps most radically of all, she has remained picky about her suitors, despite all the pressure. Fellowes has shown us that Mary actually does have a heart, and it’s a great heart, even if it’s tangled up in the conflict between the entitlement of the wealthy and the powerlessness of being a woman. Dockery has been perfect in the role, not so cold she completely turns off viewers and loses our support, but acerbic and stuck-up enough to give us a chill and come off like a genuine aristocrat. Mary did get a little mushy after her marriage to Matthew Crawley, and I feared Fellowes was banishing her to Maudlinville, where once-fierce characters like Barrow go to live out their days soaking in a warm bath. But then, Matthew died quite suddenly from a fatal case of unsigned contract — I mean, from a car accident. Quickly, Mary returned to her stony, passive-aggressive, twisted-up self, keeping her loyalties — particularly to servants Anna Bates and Mr. Carson — hidden to preserve her haughty mystique. Phew. Her tormenting of her sister Edith, in particular, has been unceasing — and, to be honest, glorious. I wouldn’t want to be Mary’s sibling, but I could easily watch her send snide asides Edith’s way all night long. It’s great conflict TV. “Not everyone would accept Edith’s past,” Mary said to Edith’s suitor, Bertie, in the penultimate episode, purring that last word with evil pleasure, alluding to Edith’s secret love child and possibly spoiling Edith’s engagement. Even as Fellowes has been tying up loose ends and giving characters sweet farewell kisses, he has continued to parade Mary’s deficiencies to stay true to her character. Of course, for many, Violet Crawley, the Dowager Countess of Grantham, has been the most consistently acidic and pleasingly anti-romantic character. And while her zingers are things of verbal beauty — she had me at “What is a weekend?” back in season one — she is a more limited supporting character. Forgive me for saying this, because my reverence for Maggie Smith is undying, but after a while, as “Downton” became increasingly shticky, Violet’s trademark jibes and ironic musings took on the easy, automated feel of sitcom catchphrases. #BeaArthur. And anyway, watching Mary is a bit like watching the Dowager as a young lady, already flinty and biting, already backhanded, but not yet ripe enough to slam home her disdain like a Ping-Pong champ. One of the best things about “Downton” has been the way Fellowes has embedded his characters in the history of the time, as a kind of literary historical fiction. He has shown us the specific ways that the worldwide shifts of the early 20th century have reached into all of their lives, upstairs and downstairs, but he has done so most subtly through Mary. He has made her into one of TV’s best imperfect heroines.